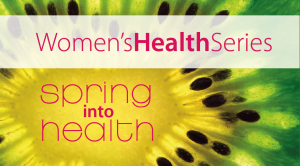 BodaHealth is delighted to announce that our naturopathic physician, Dr. Alana Shaw has been invited for the 3rd consecutive year to speak at the NFH Advances in Women’s Health Symposium. She will be sharing her expertise and research on couples with unexplained infertility with physicians and other healthcare providers from across western Canada. Up to 20% of couples today are diagnosed with infertility, and of those couples, 25% will be told their infertility is unexplainable. Naturopathic physicians and other complementary practitioners are perfectly suited to uncover the root cause for these couples. A thorough fertility evaluation can determine the etiology and provide the couple with a relevant treatment plan, in order to restore fertility. Practitioners will receive practical tools for the evaluation of infertile couples, with a focus on unexplained infertility. 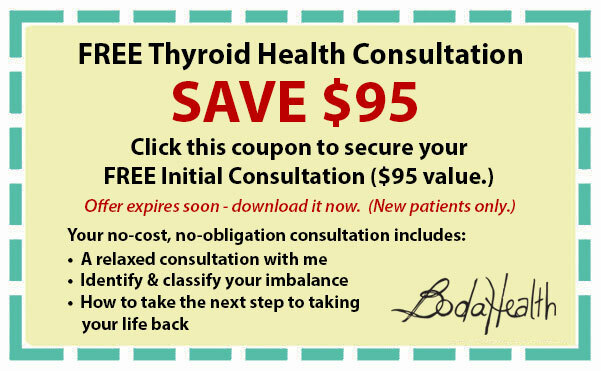 "Thyroid Health Strategies: Which Ones ACTUALLY WORK - and Which Ones are Guaranteed to Keep You Feeling Tired, Bloated and Foggy-Headed." Discover the reasons why thyroid and adrenal imbalance have become so prevalent, why people are not getting better and what to do about it. 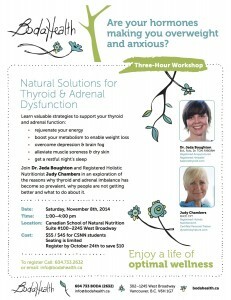 Join Dr. Jeda Boughton and Registered Holistic Nutritionist, Judy Chambers on Saturday, November 8th, 2014 at 1:00pm. 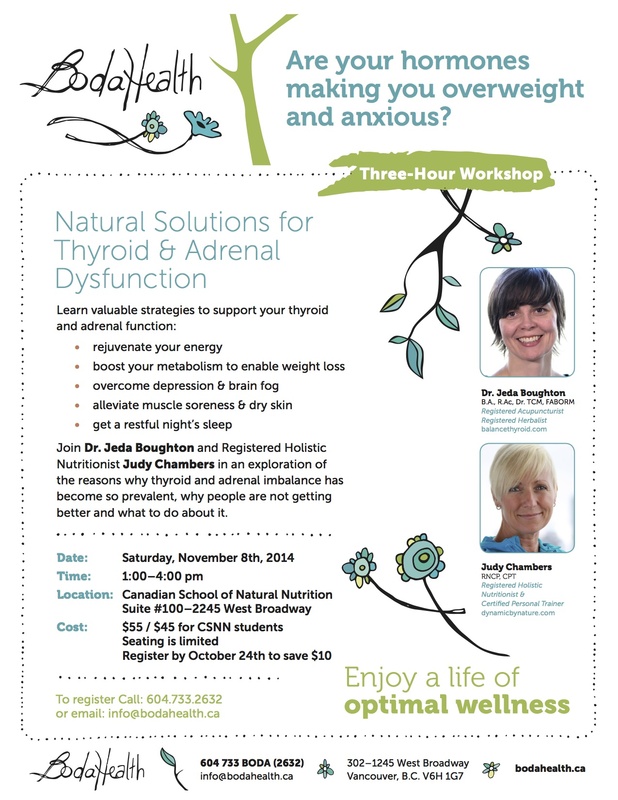 Learn valuable strategies to support your thyroid and adrenal function and discover the secret to regaining your health without risks or side effects. Click coupon to download it before this offer expires. BodaHealth is the first Acupuncture and traditional Chinese medicine clinic in Vancouver to offer treatment focused on thyroid balance. To register and secure your spot please call 604-733-2632. We all want to be healthy and enjoy the freedom of well-being. Dr. Jeda and Judy Chambers can help you achieve and maintain this goal. They view the body as our most precious investment and support their patients to achieve vitality and health through a compassionate patient-focused approach. "What Every Woman Coping with Infertility Ought to Know About Chinese Medicine..."
"Discover The 5 Essential Keys to Optimizing Fertility and SIGNIFICANTLY Increase Your Chances of Getting Pregnant." Did you know that treating Infertility with Acupuncture and Traditional Chinese Medicine has been recorded in our ancient texts, and even on the backs of turtle shells for thousands of years? How can this age-old medicine make such a difference in helping women get pregnant? Join Dr. Jeda Boughton of BodaHealth and Dr. Sonya Kashyap, the medical director of Genesis Fertility, for this rare opportunity to discover why women everywhere, who once struggled with infertility, are raving about the benefits of natural fertility methods with IVF. How inflammation can affect fertility and what to do about it. The chemical cleaners and body care products to stay away from. What to eat (and NOT eat) to improve your body's elimination of toxins. 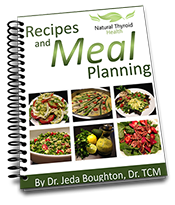 The 3 things you need to know to help balance your hormones, adrenals and thyroid. 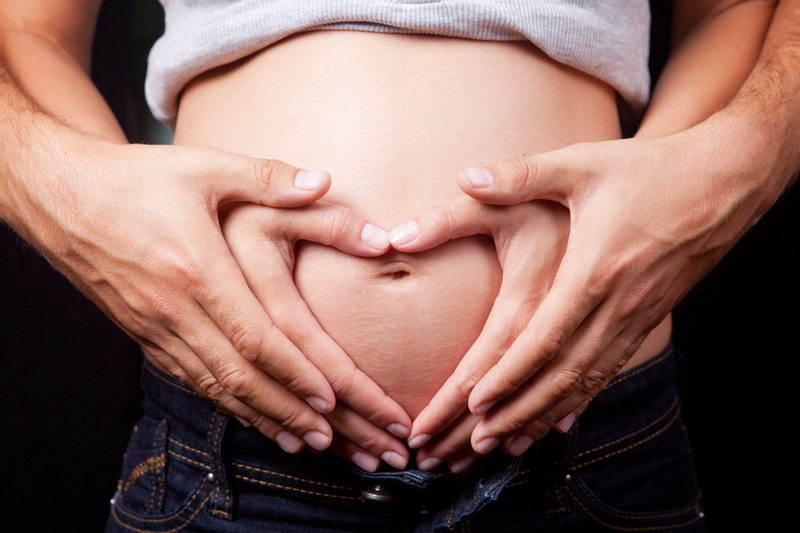 What is intestinal flora and why it helps improve fertility. The types of exercise that improve your mood and help your body secrete endorphins. How to choose the right fertility expert to increase your chances of starting a family - and much more! 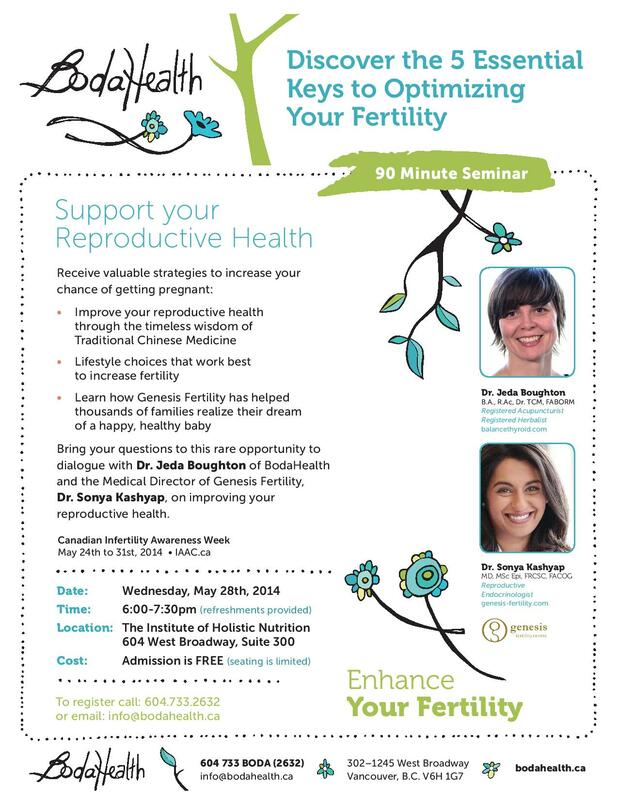 Join Dr. Jeda Boughton and Dr. Sonya Kashyap on Wednesday, May 28th at 6:00 pm and learn valuable tips and strategies to start a family - or expand your existing family. Simply click on the coupon below to sign up for the free workshop and get immediate access to download the $95 coupon. NOTE: This coupon offer expires on Monday at midnight (May 26th) so please don't delay. 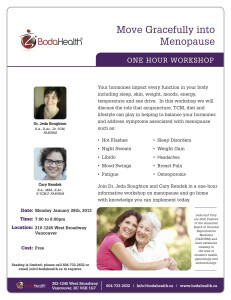 You can also secure your spot for the free workshop and complimentary health assessment coupon by calling 604-733-2632. NOTE: Seating is limited, so please click here today to secure your spot and realize your dream of a healthy, happy baby. 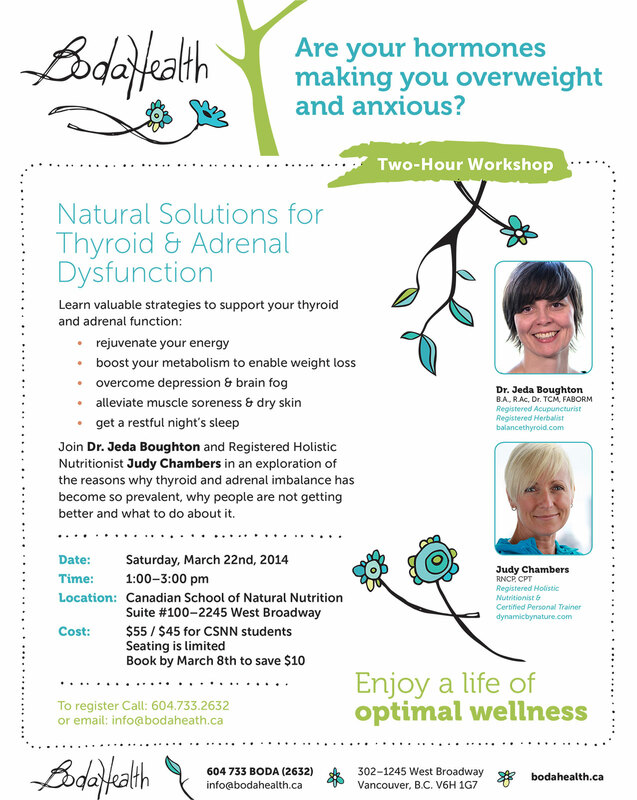 Join Dr. Jeda Boughton and Registered Holistic Nutritionist, Judy Chambers on Saturday, March 22nd, 2014 at 1:00pm. Are your hormones making you overweight and anxious? 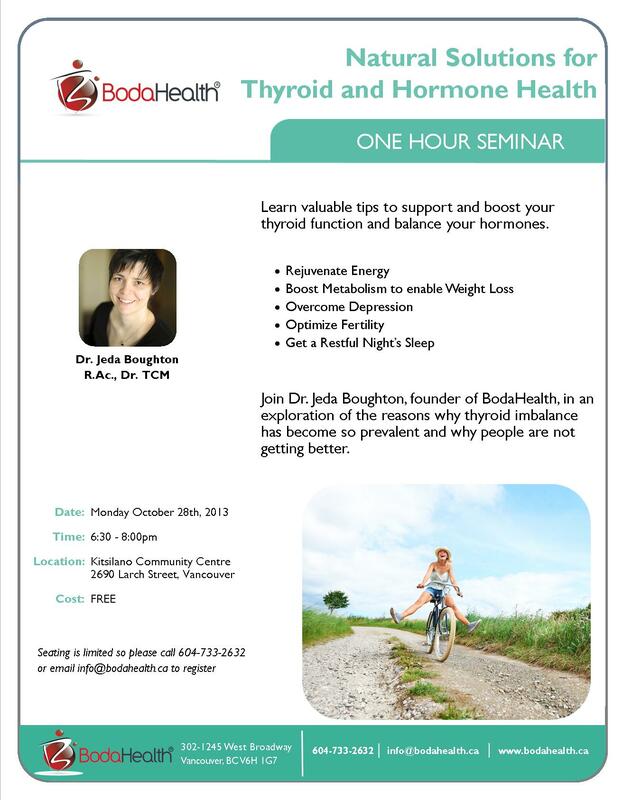 Learn valuable tips to support and boost your thyroid function and balance your hormones. Is it hard for you to enjoy life because you are in pain? Do you have trouble sleeping because of pain? Have exhausted your options for relief? 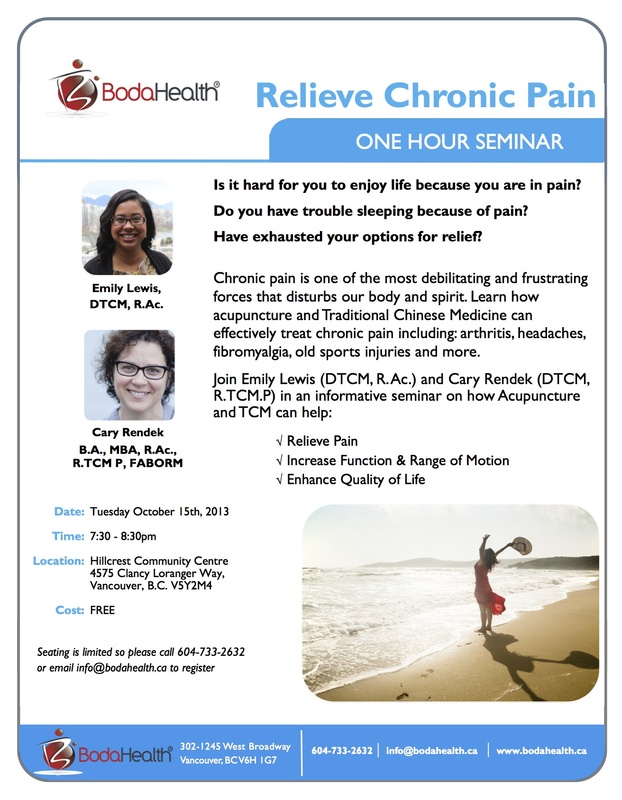 Chronic pain is one of the most debilitating and frustrating forces that disturbs our body and spirit. Learn how acupuncture and Traditional Chinese Medicine can effectively treat chronic pain including: arthritis, headaches, fibromyalgia, old sports injuries and more. 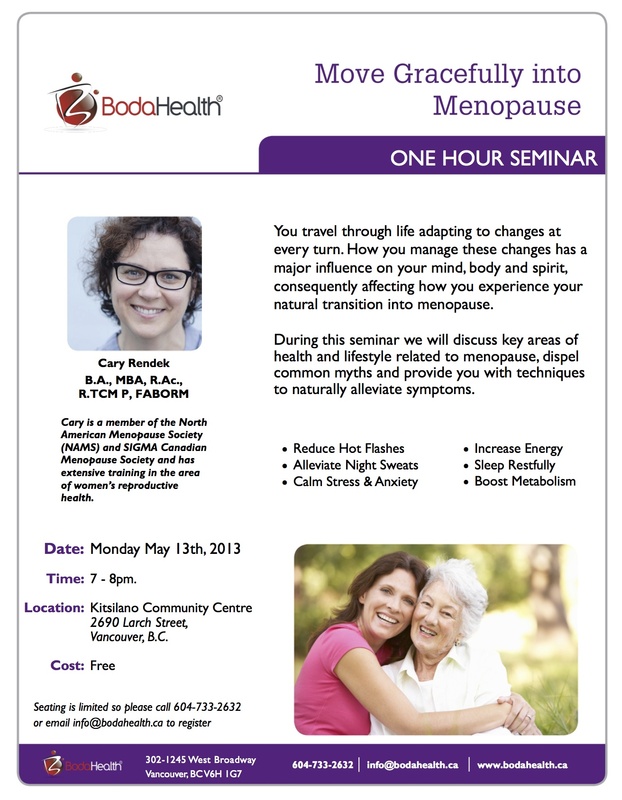 Seating is limited so please call 604-733-2632 or email: info@bodahealth.ca to register. You travel through life adapting to changes at every turn. How you manage these changes has a major influence on your mind, body and spirit, consequently affecting how you experience your natural transition into menopause. 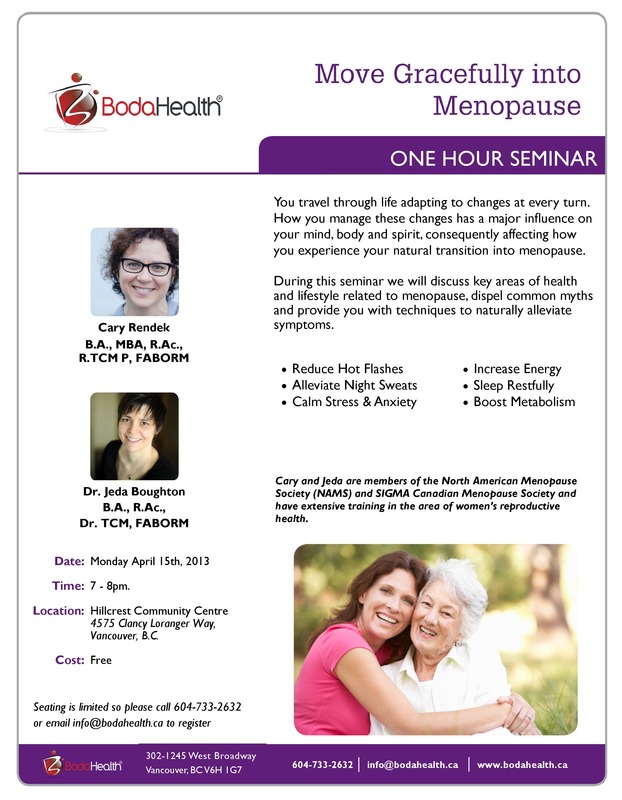 During this seminar we will discuss key areas of health and lifestyle related to menopause, dispel common myths and provide you with techniques to naturally alleviate symptoms. Join Dr. Jeda Boughton, founder of BodaHealth, in an exploration of the reasons why thyroid imbalance has become so prevalent and why people are not getting better. 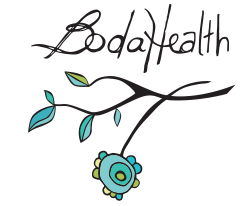 BodaHealth is the first Acupuncture and Traditional Chinese medicine clinic to offer treatment focused on thyroid balance. Benefit from the expertise of Emily Lewis and Cary Rendek as they guide you through hands on demonstrations of pressure points and massage techniques to aid in pregnancy and labour. This workshop is recommended for pregnant couples, doulas, midwives and anyone else interested in learning more about how acupuncture and massage can be helpful during birth. 4575 Clancy Loranger Way, Vancouver, B.C. Enhance Your Fertility! 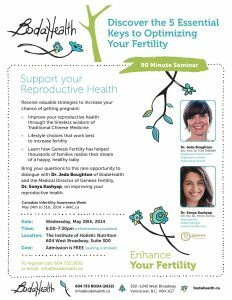 Join us on May 22nd to learn how acupuncture, TCM and massage therapy are fundamental for optimizing your chances to conceive. 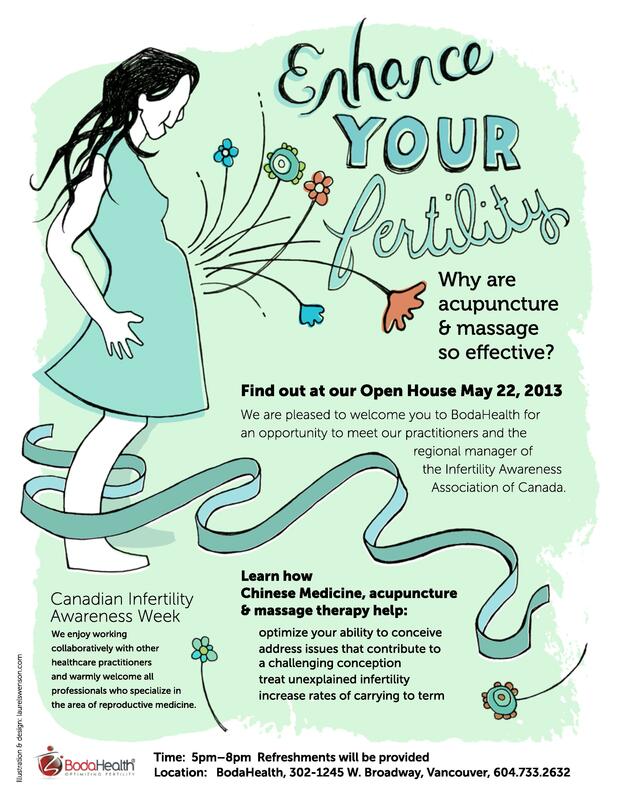 BodaHealth in Vancouver - Fellows of the American Board of Oriental Reproductive Medicine - in correlation with Canadian Infertility Awareness Week will hold an Open House on Wednesday, May 22nd from 5 p.m. to 8 p.m. at their facility on West Broadway. Working in the field of reproductive medicine the BodaHealth fertility team welcome various specialists from local fertility centers and the Infertility Awareness Association of Canada (IAAC) regional manager. The event will focus on individuals and couples who are struggling with infertility and who are interested in natural solutions to conceive. 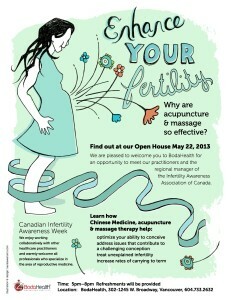 The Open House will answer the question “Why are acupuncture and massage so effective for enhancing fertility?” as visitors meet and speak with the specialists about how holistic avenues fit into their fertility plan. Participants will learn how acupuncture, Chinese medicine and massage therapy will help optimize chances of conception, address issues that contribute to challenging conception, treat unexplained infertility and increase rates of carrying to term. 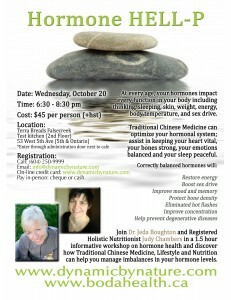 What: Open House at BodaHealth to bring awareness on how to optimize fertility holistically. Why: To bring awareness to what couples facing infertility can do to optimize their chances of conceiving by incorporating various holistic treatments. Directions: BodaHealth is located on West Broadway between Alder and Birch. We have visitor parking in our garage off of Alder which will be free the evening of the event. 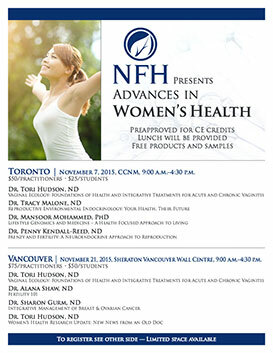 Cary is a members of the North American Menopause Society (NAMS) and SIGMA Canadian Menopause Society and has extensive training in the area of women's reproductive health. Effective treatment strategies and symptom management for Multiple Sclerosis. 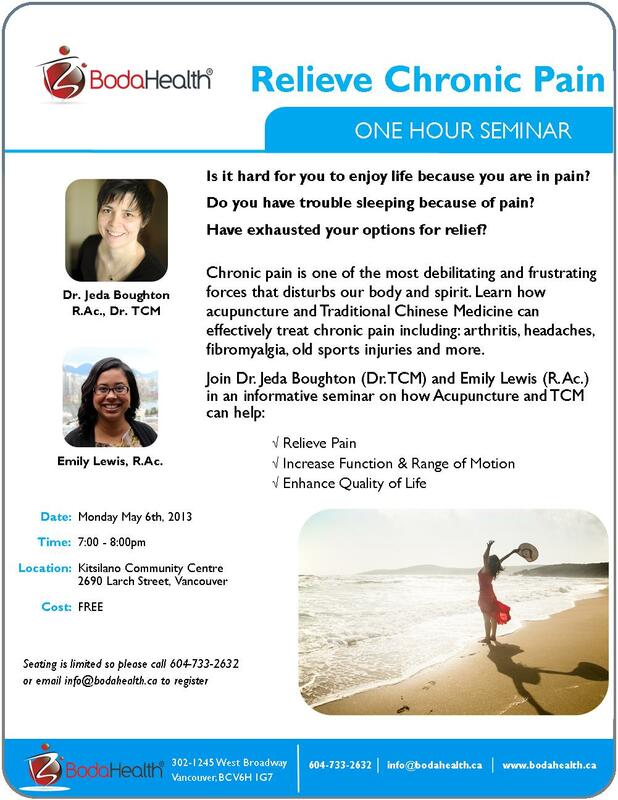 Join Dr. Jeda Boughton and Emily Lewis, R.Ac. in a comprehensive workshop on how acupuncture and Traditional Chinese Medicine (TCM) enhance quality of life, speed recovery and prevent attacks. 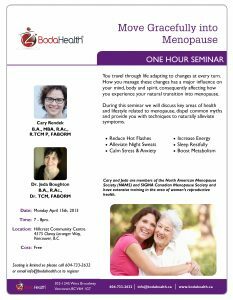 Cary and Jeda are members of the North American Menopause Society (NAMS) and SIGMA Canadian Menopause Society and have extensive training in the area of women's reproductive health. 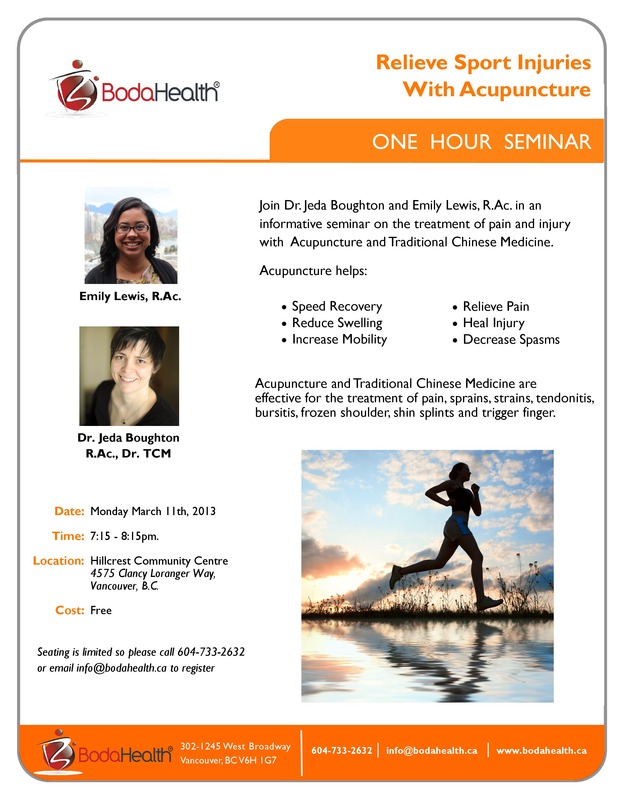 Join Dr. Jeda Boughton and Emily Lewis, R.Ac in an informative seminar on the treatment of pain and injury with Acupuncture and Traditional Chinese Medicine. Acupuncture and Traditional Chinese Medicine are effective for the treatment of pain, sprains, strains, tendonitis, bursitis, frozen shoulder, shin splints and trigger finger. 2690 Larch Street, Vancouver, B.C. 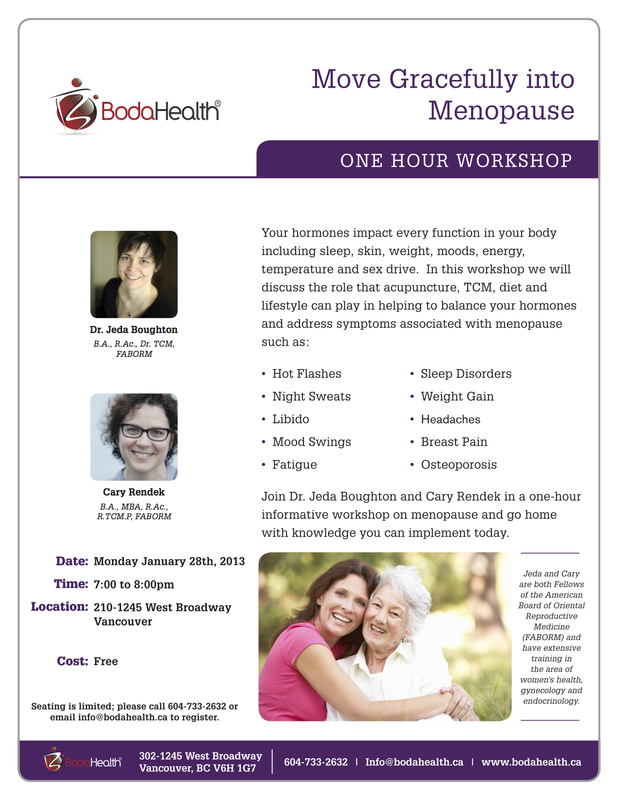 Join Dr. Jeda Boughton and Cary Rendek in a one-hour informative workshop on menopause and go home with knowledge you can implement. Jeda and Cary are both Fellows of the American Board of Oriental Reproductive Medicine (FABORM) and have extensive training in the area of reproductive health, gynecology and obstetrics. 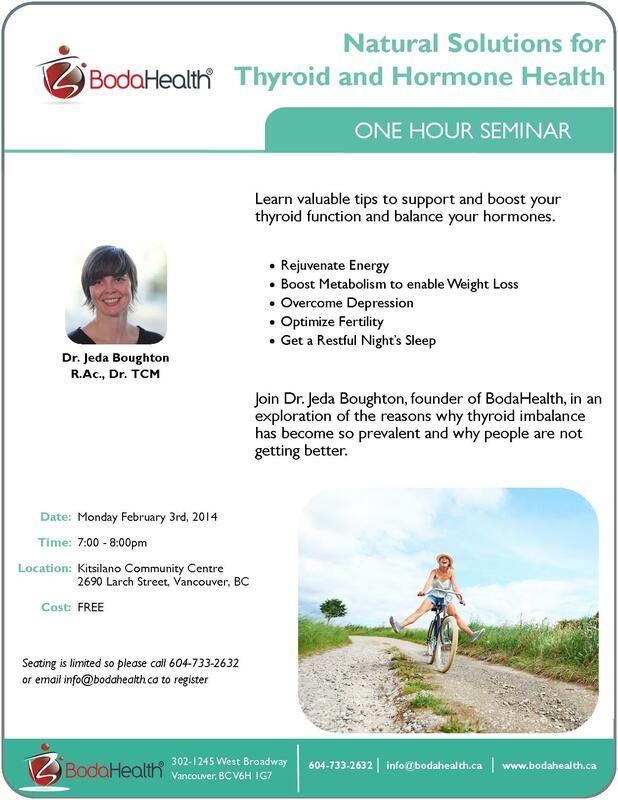 Seating is limited; please call 604-733-2632 or email info@bodahealth.ca to register. 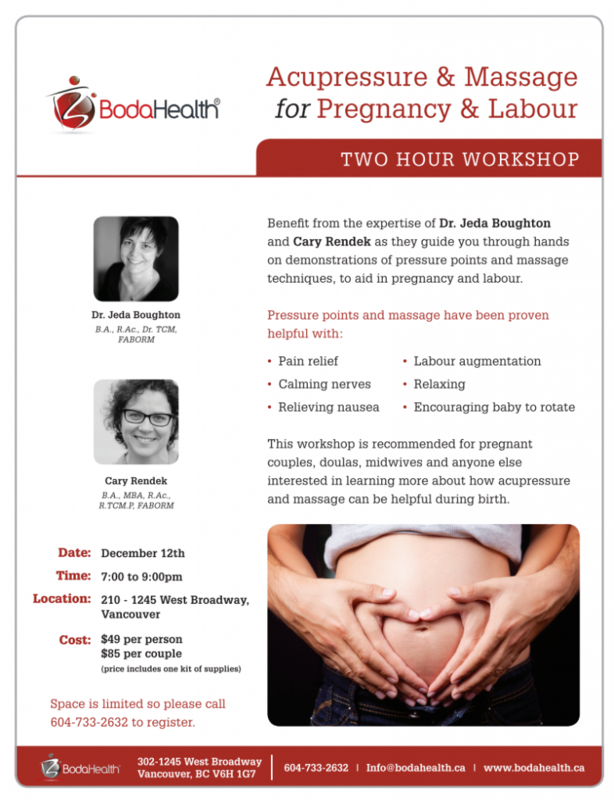 Benefit from the expertise of Dr. Jeda Boughton and Cary Rendek as they guide you through hands on demonstrations of pressure points and massage techniques to aid in pregnancy and labour. Whether trying to conceive naturally or using assisted reproductive technology this seminar will help give you more control over your fertility journey. This workshop is recommended for pregnant couples, doulas, midwives and anyone else interested in learning more about how acupressure and massage can be helpful during birth. This popular workshop is presented three times a year. Sign up for our newsletter to receive upcoming workshop notifications. 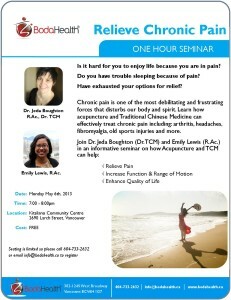 Benefit from the expertise of Dr. Jeda Boughton and Mel Engleder, RMT as they guide you through hands on demonstrations of pressure points and massage techniques to aid in pregnancy and labour through the trimesters. 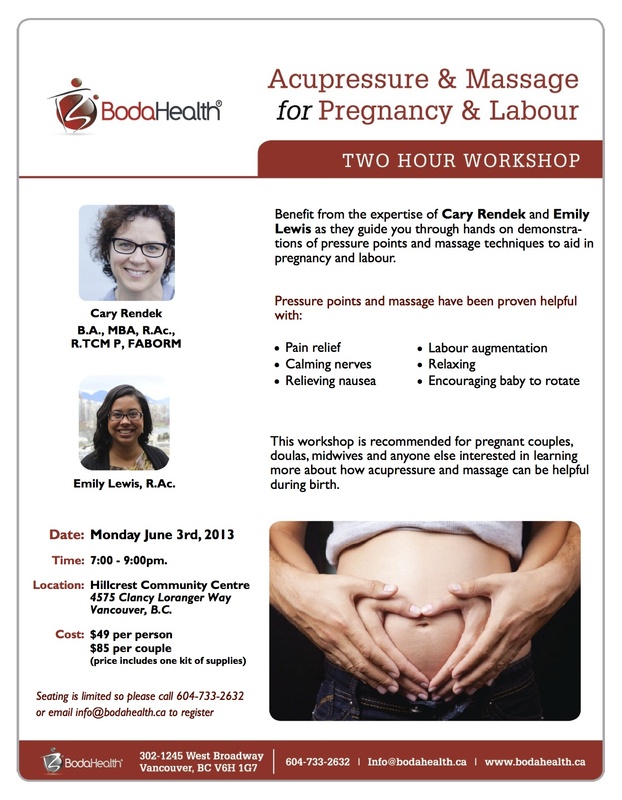 This workshop series is recommended for pregnant women, couples, birth coaches, doulas, midwives and anyone else interested in learning more about how acupressure and massage can be helpful during pregnancy and birth. This three-part, hands-on, transformative workshop series is designed for women like you seeking balance and wellbeing. It covers the role of digestion, toxins and stress in disrupting hormone balance and contributing to insomnia, impaired thyroid function, pain, hypertension, fatigue, weight gain and much more. 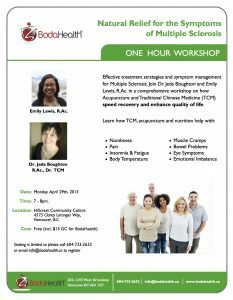 Using the principles of holistic nutrition and traditional Chinese medicine, Jeda and Judy teach you how to make important, practical changes that will bring your whole system - and life - into balance. Stay tuned for future presentations of this popular health series. 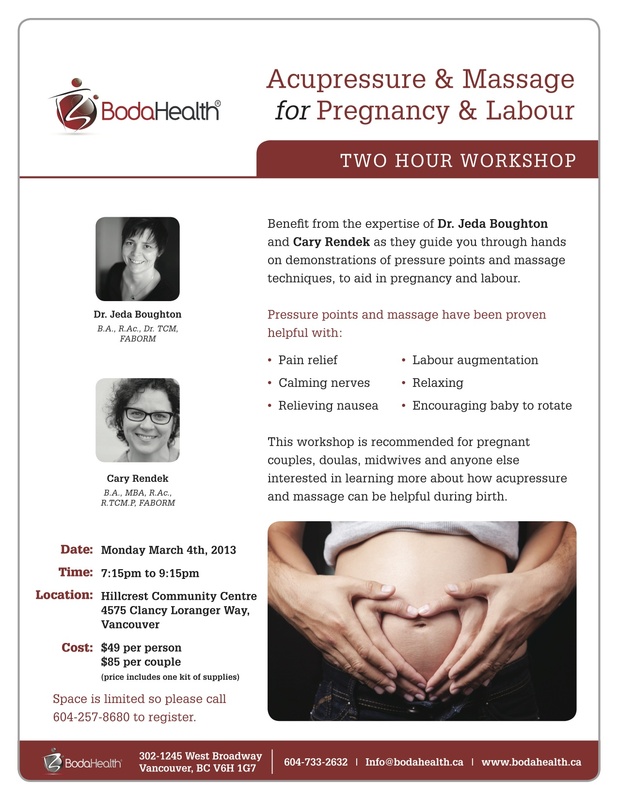 Benefit from the expertise of Dr. Jeda Boughton and Mel Engleder, RMT as they guide you through hands on demonstrations of pressure points and massage techniques to aid in pregnancy and labour. 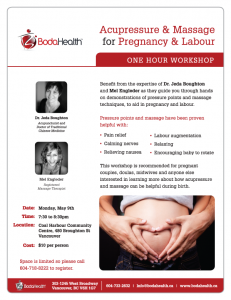 This workshop is recommended for pregnant couples, doulas, midwives and anyone else interested in learning moire about how acupressure and massage can be helpful during birth. 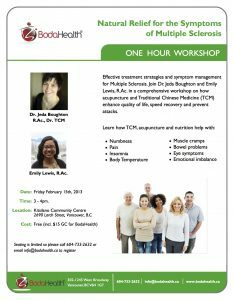 Join Dr. Jeda Boughton and Registered Holistic Nutritionist Judy Chambers in a 1.5 hour informative workshop on hormone health and discover how Traditional Chinese Medicine, lifestyle and nutrition can help you manage imbalances in your hormone levels. Acupuncture and Traditional Chinese Medicine (TCM) successfully relieve pain, inflammation and increase mobility. Join us for an easy to understand explanation of TCM and how it treats arthritis. 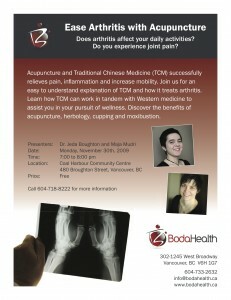 Learn how TCM can work in tandem with western medicine to assist you in your pursuit of wellness. Discover the benefits of acupuncture, herbology, cupping and moxibustion.